Originally bred for heavy work, the Draft Horse was vital to the farmer before the invention of the tractor. Draft Horses are still used today by many small farmer and we loove to see them pulling the Beer Wagon in parades. Draft horses are larger and sturdier than horses used for riding or racing.The average draft horse weighs about a ton (2000 pounds) and is seventeen to eighteen hands (about six feet) high. While Draft Horses are still used on the farm, many Draft breeds have found their way into the Dressage arena, or as breeding stock in conjunction with lighter breeds. 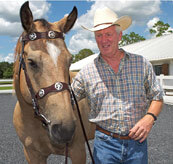 Contact the breeders to learn more about the big friendly Draft Horse Breeds.